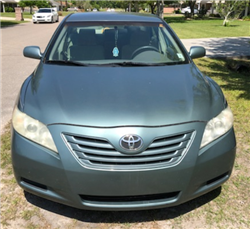 Cash for Cars in Mississipi - We Buy Cars Fast! You might finish sailing down the river before you sell a car in Mississippi. That's right, selling your car isn't easy so you better find someone who can act fast and get you cash. Most of the buyers in the business today will just waste your time with negotiation games and playing phone tag with you. Imagine how much time and money you're losing each day that your car hasn't sold. You need a buyer to step in and take care of the job with a fair offer in a timely manner. Sail no further, Mississippi! CarBrain is here and ready to turn that car into quick and easy cash in your pocket. 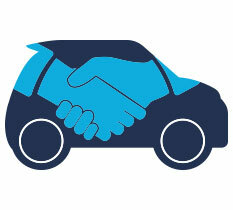 We have developed a fast and simple way to get an offer for your car. Our system will make an online offer on most makes and models in just 90 seconds. If you agree to our offer, we’re prepared to pick up the vehicle and deliver the payment to you in just 24 to 48 hours. If you're ready to sell your car the smart way, don't waste any more time. Click here to get your online offer today. CarBrain has partnered up with the top-tier tow companies in Mississippi to ensure a fast and smooth transaction in just 24 to 48 hours! We’ll go the extra mile for you and pick up the car at your workplace, your home, the repair shop, or most tow truck-accessible areas. Whether your car is in Jackson, Biloxi, Hattiesburg, or other cities nearby, our team is ready to help you. To get your online offer today, just click here! Where Can I Sell My Car in Mississippi? Whether you're in Gulfport, Southaven, or Meridian, selling a car in Mississippi can be tough. Choosing the right place to sell is crucial to ensure a good offer for your car. Unfortunately, the majority of the buyers in the business today make it very difficult for you to sell your car. They all have unique sales tactics with one objective: to make sure they get the better end of the deal. So choose wisely where you sell your car because it could be one of the worst deals you make. CarBrain has a dedicated team of buyers who have been in the business for over 30 years! We’ve developed an interactive and smart way to sell your car. Our entire process revolves around you to make sure this is a fast and easy process. The competition will play phone tag with you all day to schedule a meeting to see the car. Then, when they show up, all they do haggle down your price to an unacceptable offer. We aren’t like the competition. 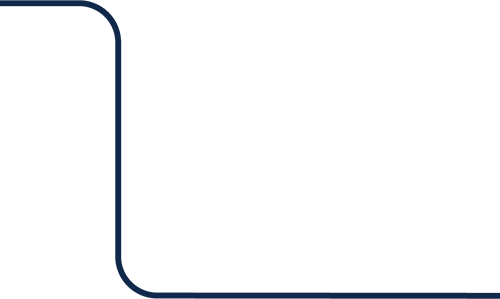 Here at CarBrain, our team has created an interactive price engine designed to make free online offers on all makes and models! And if you agree to our offer, it will be guaranteed and haggle-free when we pick up the car! If you ever do a trade-in car deal, you might think you're getting a good bargain, but think again. Most of the time, these buyers will show you the number you want to see. In reality, though, all the extra money you're getting is just being stacked on elsewhere in the deal as a hidden or buyer fee. CarBrain will buy your car outright. We have no intention of selling you a car and we’re not going to manipulate the number! Scrap and junk yards are in it for the salvage business. They do not care if you have an EX-L model Accord, or an AMG-package Mercedes. They will just pay you for what car’s metal value is worth, hence their ‘cash for cars’ deals. So unless you don't mind practically giving away your car, then these buyers may not be your best option. Good thing CarBrain makes offers on vehicles individually. We look at every car that we purchase and take everything the car has into consideration. Don't waste your time playing sales games with the competition. Sell your car the smart way today! Click here to get started. 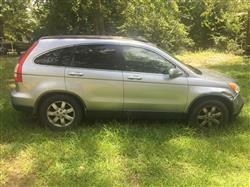 What Type of Cars Do You Buy in Mississippi? There are many types of cars in the market today. You have tough EcoBoost Fords, fast AMG-class Mercedes-Benz, and efficient Toyota Hybrids. While they’re all unique in their own way, so are the buyers that can purchase them from you. Every buyer has their market and type of car that they buy. And if your car is in less-than-perfect condition, that can slim down your options even more. Then CarBrain came along! We can purchase almost every make and model sold in the US! 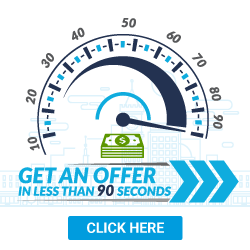 That's right - whether you have a big work van, a luxury sedan, or even a compact sedan, we’re prepared to make an offer on most cars in just 90 seconds! Other buyers will make you tow the car to them so they can appraise it. That can cost you hundreds of dollars just to get an estimate your not going to like. CarBrain will make you an online offer for your car. If you agree to it, we’ll deliver the payment to you and tow the car for FREE in just 24 to 48 hours. If your car is in less-than-perfect condition - whether it was totaled in an accident or has other damage like mechanical issues, flooding, theft, vandalism, or more - don't even think about repairing it. Repairing your car can potentially cost you more that what the vehicle is worth. Just cut your losses and sell that car before you lose any more money. “I have all the time in the word to sell my car,” Said no one ever. Time is money, and the more time you waste to sell your car,the more money you're going to lose when you do. CarBrain has simplified the way to sell your car into three fast and easy steps. Our system is ready to make offers in just 90 seconds and tow them for free in just 24 to 48 hours. If you want to see why thousands have chosen to sell their car the smart way, click here. Selling your car isn't going to be fast. You will waste tons of time with local buyers, answering their calls and playing their haggling games. CarBrain won't waste your time because we’re the smart way to sell your car. CarBrain can get you quick and easy cash for your damaged or junk car. Our process is quick and easy with most cars receiving offers in just 90 seconds. You’ll see why we’ve been recommended by thousands of customers. Just click here to get started today. We provide free towing to any of our Mississippi locations. What should you know before selling to a junkyard or private buyers in Mississippi?